How AR VR apps Can Modernize The Online Fashion Space? How Augmented Reality Can Modernize The Online Fashion Space? 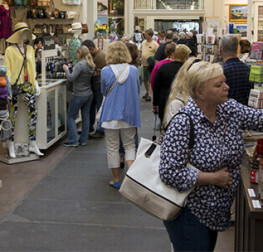 Shoppers find it strenuous to move around the stores and seek what they like. Smartphones take away this pain by bringing thousands of the stores mushrooming around the world in the palm of user’s hand. Different online shopping apps like- Flipkart, Snapdeal, Amazon and a lot more, yield hands-on experience to the users. But, still with online shopping, shopper finds difficulty in getting the designer wears what they actually desires and want to customize them. It is not enough while they left undecided whether it will suit or not. These are the major challenges that fashion retailers face today. Research says, 15-50% of the clothing items is returned because ill-fitting or looks different after delivery. 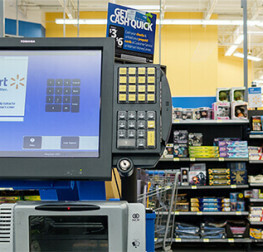 Advanced technology is aimed to reduce return rates, increase conversion rate by filling the gap between shoppers and retailers. Fashion world is at the cusp of dramatic change with the incorporation of Augmented reality. Digital technology provided many solutions that help customers to tailor the clothes virtually, view how it looks like and let them choose from fabric to textile pattern, and much more! The technology shows multimedia content like audio, video or image overlaying the real world object, when the app enabled camera is projected over the object. Using burgeoning technology, e-retailers can offer a great level of customization and personalization that suits to ones style and fashion. With plethora of potential advantages, let’s see how AR resolves the challenges of fashion E-retailers. With increasing trend of consumerism, people demand unique things and also want their preference visible. The virtual tailoring solutions are amazing that engages the user by letting them to select style, fabrics, textile, color and design. With 3D visualization engine, customers can design their own clothes in an exclusive way. 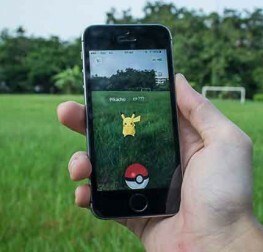 With augmented reality, guessing game is now no more and people can co-create and visualize that it suits to them or not. Creyate, the online custom clothing brand build on the pillar of customization allow the customer to design, and then generate such garments in fully automated factory and finally delivered them to the doorstep. Many times, it becomes difficult for the shoppers to decide whether this color would looks good or not and a lot more concerns. They want to see, how the dress would look like when they wear it or want to show the same to their distant friend. Also, at times they want to check whether their closet item matches with the one they are viewing online or not. Alas! It is not possible with simple online shopping app. But now, with use of augmented reality in shopping, one can view how the clothing would look like in real-time and even can snap photos and send to friends for instant feedback online. 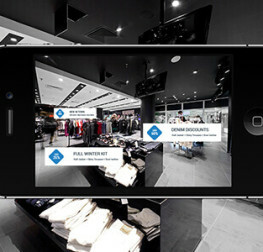 Online retailer can integrate the augmented reality apps to provide an advanced product-viewing tool for the shoppers. Using emerging technology, shopper’s app enabled camera is turn into interactive mirrors and customers can select any piece of cloth and can see if piece of item is right for them. Augmented reality fashion solution perfectly answers the top most concern of the clothing shoppers, “Does it suits” and “How it looks.” Retailers should digitally makeover the traditional shopping with the adoption of these augmented reality shopping apps to boost their sales and take the personalized experience to the next stage. It’s the time, fashion should meet technology!